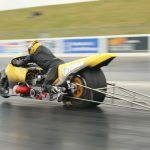 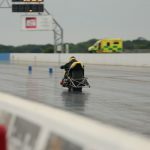 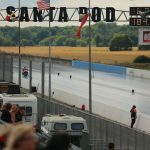 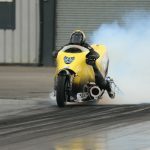 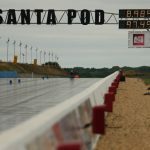 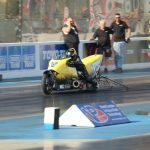 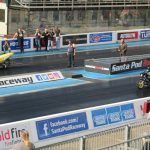 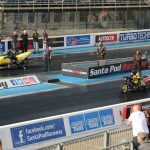 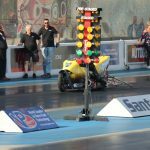 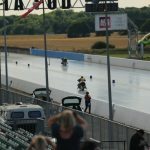 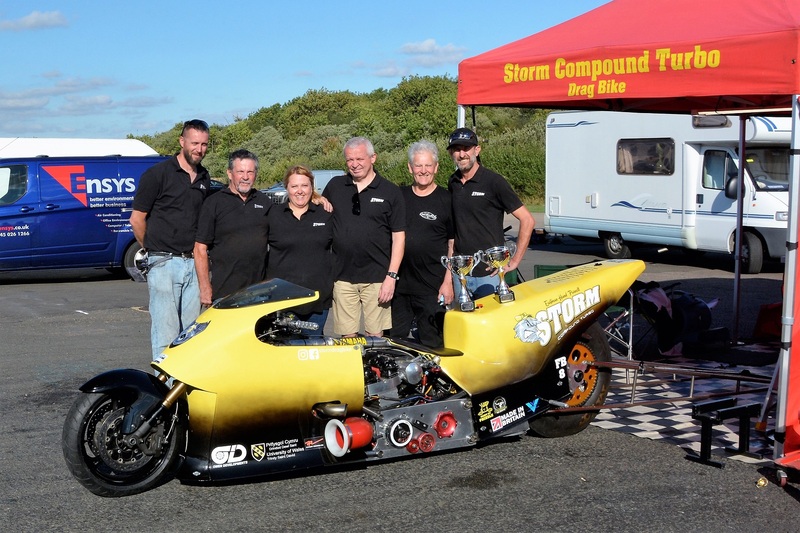 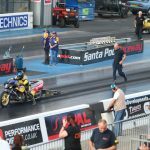 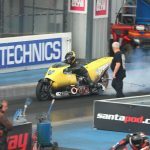 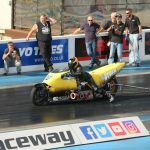 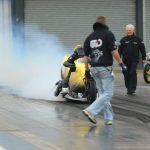 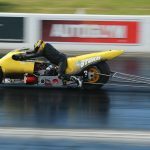 Redline Rumble is a new bike-only event for 2018 at Santa Pod, possibly to capitalise on the demise of the Bulldog Bash but also to provide an event for those not wanting to go to the Hockenheim Nitrolympx which takes place the same weekend. 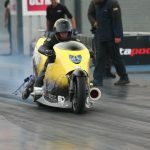 The format is effectively two one-day events with qualifying and eliminations both days and ACU championship points also awarded on each day. 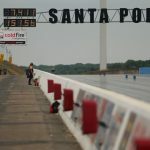 With many of our Funnybike friends at Hockenheim it was an ideal opportunity for us to get some track time and possibly extend our lead in the championship. 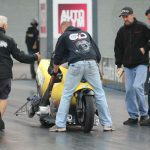 Q1 on Saturday we had some issues this morning firstly with the rider getting it wrong, then a crank/cam sync sensor error made the engine cut out at the end of first gear. 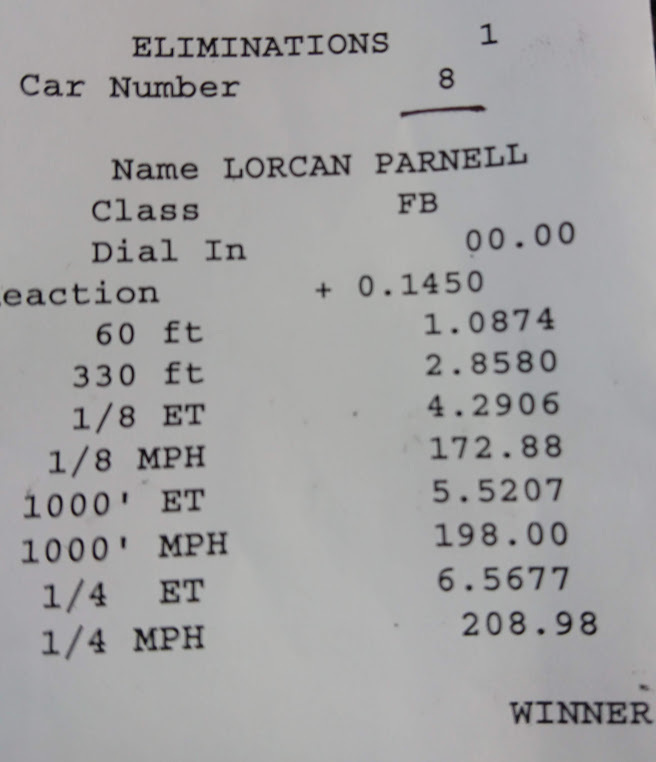 1.113 to 60′ was encouraging though. 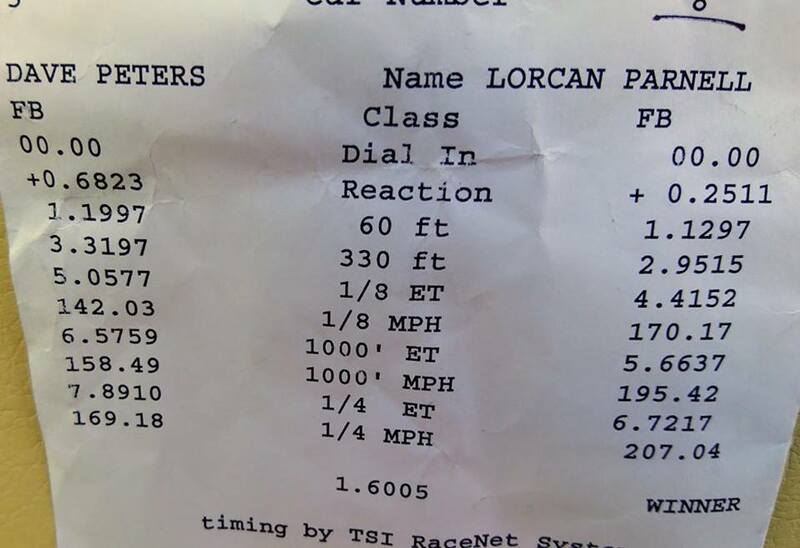 Q2 was a 7.41 @ 151mph shutoff. 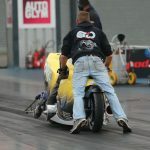 The front tyre was contacting the fairing landing from the first gear wheelie, pulling the front wheel to one side and causing the front end washout. 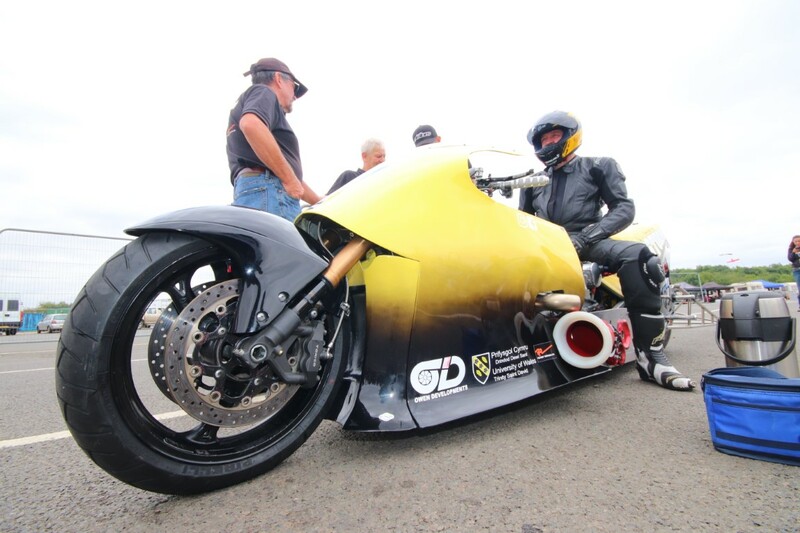 Barry trimmed the bodywork to resolve it. 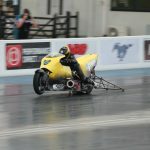 In the meantime, we were qualified #1 for eliminations in the afternoon. 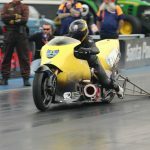 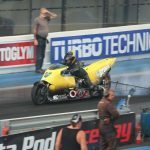 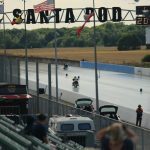 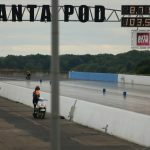 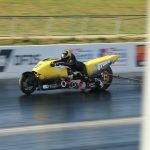 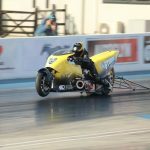 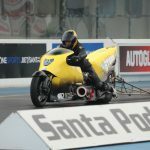 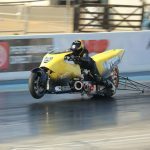 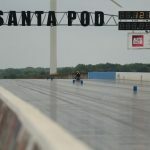 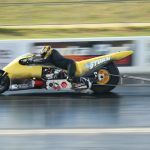 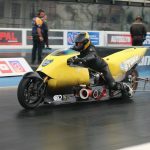 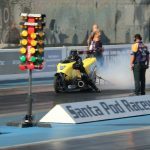 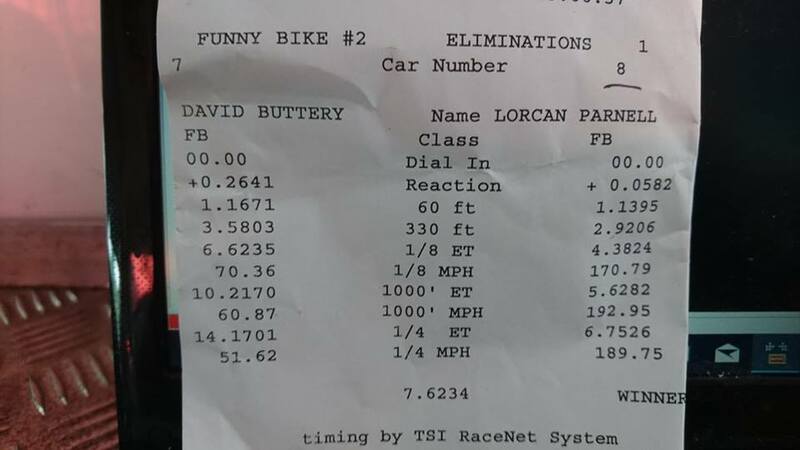 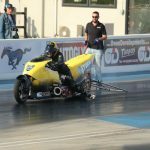 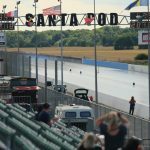 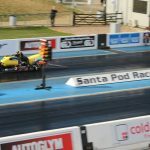 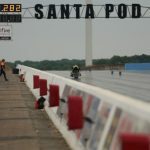 With only three riders qualified we had a bye run in the semi-finals and posted a PB 6.56 @ 208mph clicking off a little early into the 15-17mph headwind. 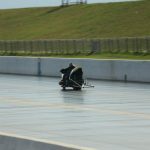 In the final Dave Peters was a no-show so we had another bye which got a bit out of shape and was shut off early, but this gave us our first ever event win. 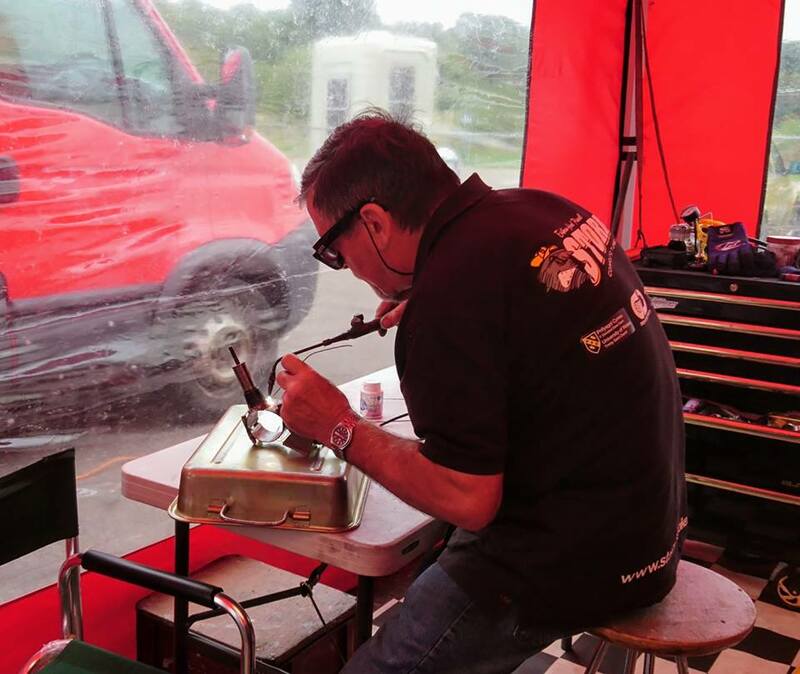 Overnight we found that the steering pivot mount had cracked, so Mick brought his gas welding gear in Sunday morning to repair it. 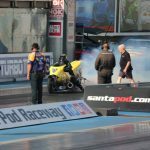 We missed the first qualifying session due to this. 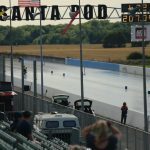 Another out of shape Q2 meant we actually had to beat someone in the other lane to reach the final. 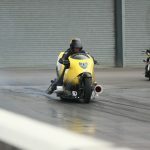 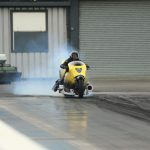 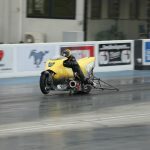 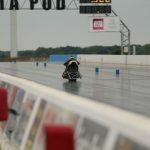 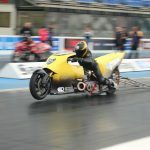 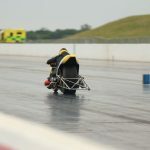 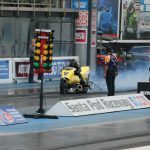 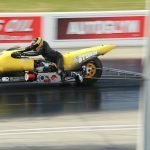 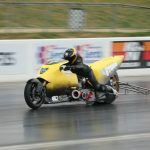 Dave Buttery was having battery problems, but a 0.05 RT and a 6.75 ET made sure of the win. 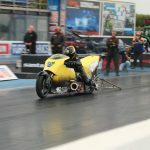 In the final Dave Peters was also having problems, easing our path to a second win in two days.